Pune: The standing committee of the PMC (Pune Municipal Corporation) has given the nod to construct a flyover at the Nalstop chowk. The PMC has suggested minor changes to Maha metro in its metro design at the Nalstop chowk & has merged the upcoming flyover in the same project. The metro will pass above the flyover at this chowk, as per the new design. The PMC had planned a flyover at this chowk and since the metro will pass through this road, instead of carrying out the work with different agencies, it has been decided to hand over the construction to Maha metro, said the standing committee chairman Murlidhar Mohol. Keeping this in mind & to decongest traffic at the chowk, the PMC had planned a flyover & the standing committee had made the budgetary provisions for the same. The metro corridor between Vanaz & Ramwadi will also pass from the same spot. Thus, the PMC decided to merge this flyover in the metro project as there would be no duplication of work & it will save time as well as money. The Municipal Corporation will bear the cost of the flyover & it would be handed over to the Maha metro. The PMC is preparing a detailed plan for the flyover & jotting down its estimate. After the detailed plan is ready, it would be handed over to Maha metro & they will merge it in their plan. Meanwhile, a metro station is also coming up near SNDT College & so, Maha metro will need to make some minor changes in the design. They will need to change the location of the metro station. 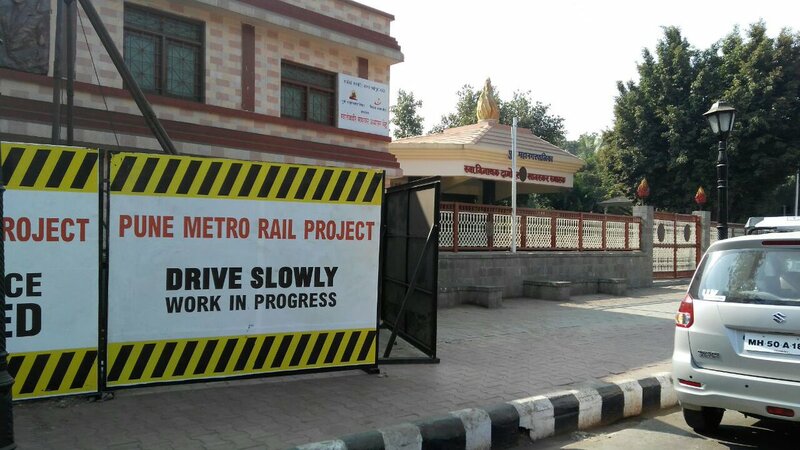 PMC officials said, the flyover will pass from below the metro corridor & end near Garware College.